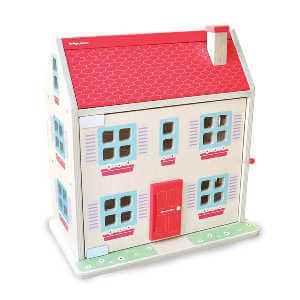 Beautiful Wooden Dolls House, Furniture & Dolls - a fantastic selection of wooden dolls houses to suit all sizes & budgets. Everything from the grand Victorian Wooden Dolls House right down to the Simple Cottage Dolls House, we have it all! Children love playing with a beautiful wooden dolls house , creating different families and living everyday life through their miniature friends. With these wonderful, traditional wooden dolls house, you will see your kids create miniature mother and father figures. 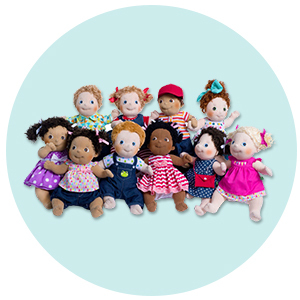 The smaller, child dolls will play different games together, and go to school, letting children explore different roles and relationships on a tiny scale. Through this role play and pretend play, children gain better social and emotional understanding, whilst developing key communication skills. 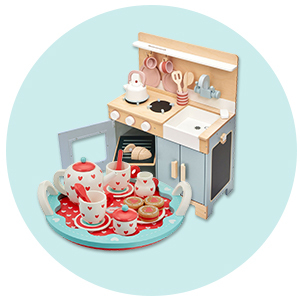 The creative play aspect comes from designing each of the dolls' rooms using the various pieces of gorgeous miniature furniture sets and accessories which also improves fine motor skills. Many of the wooden dolls suitable for wooden dolls house have flexible, poseable, arms and legs and so can be put into different positions, sat on chairs or lay into beds. Allowing your children to play with many different types of doll gives them a better understanding of the world, and allows for a much wider and diverse form of pretend play. Our gorgeous wooden dolls house are made from sustainable wood sources such as beech wood, and rubberwood. The finish on the wood is wonderfully smooth and many of the wooden dolls houses are multi-storey. Built-in stairs and working doors, and a roof that opens for attic rooms make it easy for your child to move their dolls around from room to room. This also gives easy access to rooms for children to place their different wooden furniture sets. The painted pieces have been decorated with delicate, foliage, windows bricks, doors and roof tiles. The colourful details have been applied using vibrant, lead-free, paints. They are available in different sizes and styles to suit different budgets. Kids will adore the bright colours and they will help to inspire them as they furnish them. 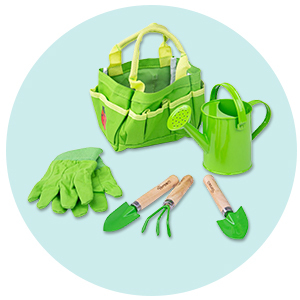 As some of them have flowers and plants painted on, dolls will need to be green fingered! Take a look at the beautiful Victorian wooden dolls house from the plan toys brand which remains unpainted and in its natural wood state, this gives it an antique feel and will look beautiful in any room of your house. This house is fantastically versatile and will suit all of our different wooden furniture sets which will enhance your child's creative play experience as they create different layouts and interior design each time they play. The incorporation of chalkboards on the Tidlo brand furnished open wooden dolls house means children can design their own frontage and gardens. In contrast to our other wooden dolls houses this is a complete set and comes with pieces that handily stores away in a drawer underneath the house, this then pulls out to become a garden. 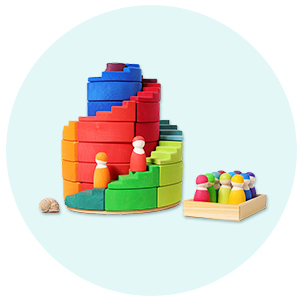 As this is a more versatile home you will find children are able to use their imaginations more to incorporate their other wooden toys. We have a fantastic choice of miniature furniture accessories for your children to use to furnish their wooden dolls house. 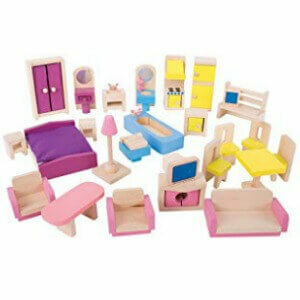 Our gorgeous sets are of a fantastic quality and are so timeless they are similar to antique dollhouse miniatures. With multiple room sets available for your wooden dolls house including kitchens, bedrooms, bathrooms and living rooms to choose between, your budding interior designer can use the miniature furniture to create any room they like in different colour schemes and layouts. We have a miniature table, armchairs, tiny wooden beds and toilets and even a set of miniature kitchen accessories amongst other dollhouse furniture. Children can then decide how their dolls want to live in each room, don't be surprised if you see one miniature doll sleeping in a bed in the "living room" or find a toilet in the "dining room" this is all part of the imaginative play and the possibilities are endless. Your child's doll house dolls can also have hobbies and lives outside of the house. 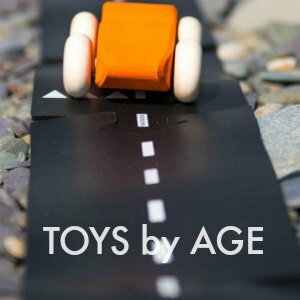 We have accessories to create gardens, a tree house, a playground and market and construction kits for them to work on, play in and visit. 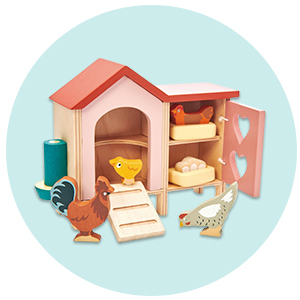 Dolls can also look after pets with the rabbit hutch and horse stable miniatures giving children another element to add to their play with their wooden dolls house. As your children grow older, ask them to write stories about their dolls and life in their wooden dolls house and then to act them out. 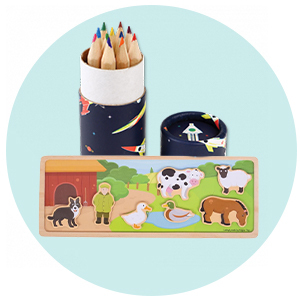 This still encourages your child's creative side and continues to task their imagination. You could help them by giving them topics or a starting sentence. To further this story writing task encourage children to write five verbs to describe each dolls character and personality. To follow on from this ask children to place their dolls into the house and then to draw and paint a picture of them. Wooden Doll houses are also useful in therapy for a child to describe a traumatic event if they don't want to talk about it. Therapists can use one to show a child that they're safe and can help them to overcome tough life events. 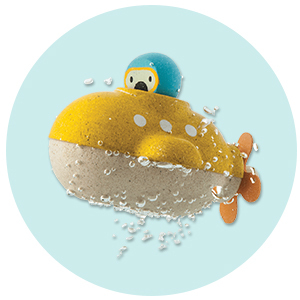 They can also watch how children play with them if they are hoping to diagnose an issue or find the cause of one. 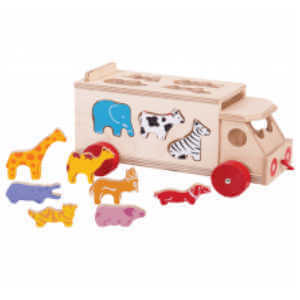 Though these aren't baby toys, the wooden dolls house would make a wonderful addition to nursery furniture sets. 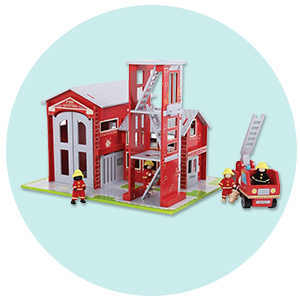 A traditional wooden dolls house with dollhouse dolls and decorated with our gorgeous dolls house miniatures will create a timeless toy for your child to grow into providing hours of fun. As these are all of a high quality they will be able to be passed on to their children whilst maintaining a great condition. Whilst not being played with, each house makes a wonderful ornament and talking point. Were willing to bet you won't be able to resist moving the furniture and dolls around yourselves. Our versatile houses will also easily accommodate small porcelain dolls, antique furniture, or vintage dolls house furniture if you are lucky enough to have some. These also make the perfect gift for a Christening, baby shower or birthdays. 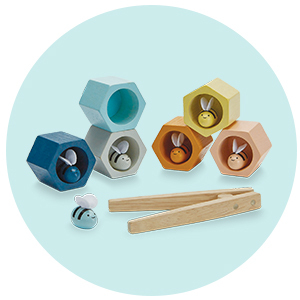 Tidlo Wooden Doll Family - Because your dolls house needs dolls! Goki Wooden Doll Grandmother - So nanny can come and play! Goki Wooden Dolls Fireman - Just in case a fire breaks out! !